COSATU's highly respected national spokesperson, Patrick Craven, announced his resignation, after Vavi's expulsion noting: 'I could not defend the indefensible.' Several other senior COSATU figures are also discussing whether to take a similar step." Read more about recent developments in South Africa HERE. More by Terry Bell HERE. April 6, 2015 -- Terry Bell Writes, posted at Links International Journal of Socialist Renewal with permission -- The fact that COSATU general secretary Zwelinzima Vavi has refused to accept his dismissal from the federation should have come as no surprise to readers of this blog. This column has pointed out for months now that the central executive committee (CEC) of COSATU has no constitutional authority to finally dismiss, suspend or expel any office bearer or affiliate; that only a national congress may do that. December 17, 2014 -- COSATU, posted at Links International Journal of Socialist Renewal -- A response to comrade Jeremy Cronin and an open letter to leaders and members of the South African Communist Party (SACP), by Zwelinzima Vavi (pictured), general secretary of the Congress of South African Trade Unions (COSATU). After reading Comrade Jeremy Cronin's public response to my address on 21 November 2014 at the ceremony to mark the 40 years of the South African Labour Bulletin on the topic "Is the labour movement at the turning point? ", I was convinced that a public debate was necessary, not just with comrade Jeremy but with the entire leadership and membership of the SACP. 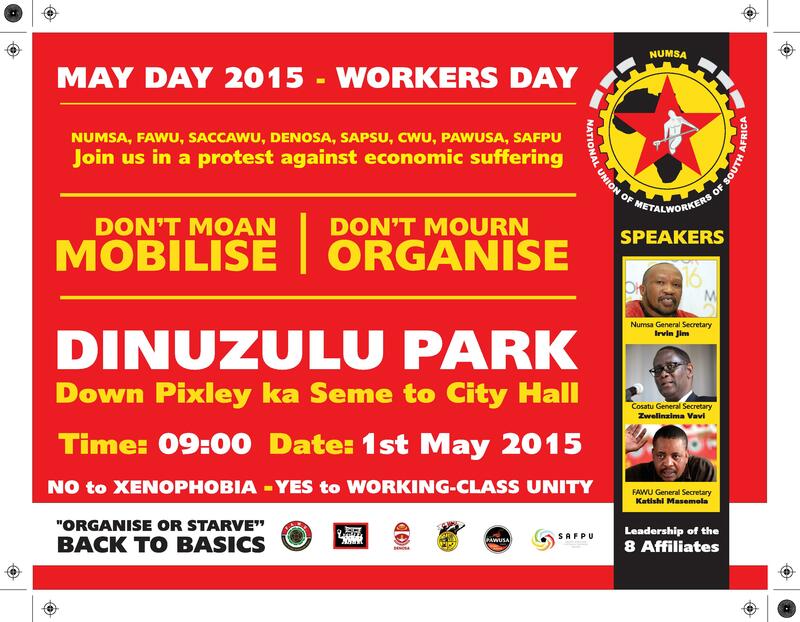 I am doing this not just as a General Secretary of COSATU but also as a member of the SACP. 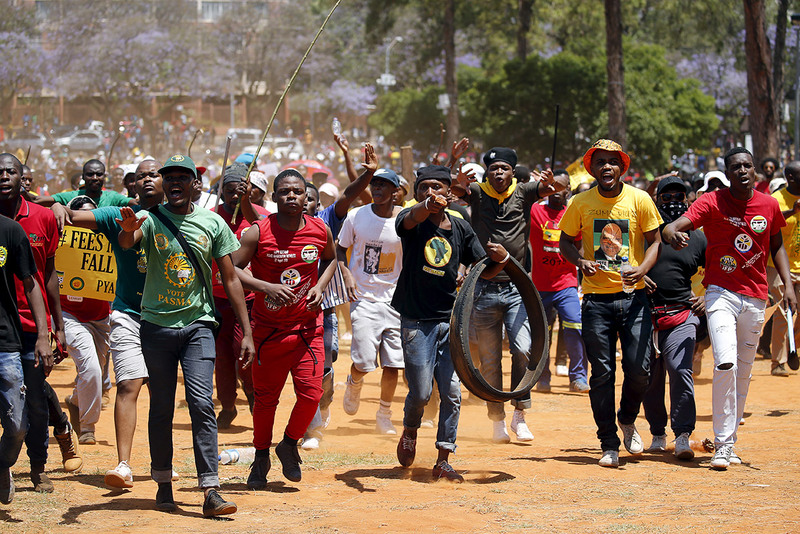 December 3, 2014 -- Links International Journal of Socialist Renewal -- Over the last 10-days, a document that alleges that NUMSA leaders are involved in an underground plot to destabilise South Africa has been doing its rounds. The document which is entitled "Exposed: Secret Regime Change Plot to Distabilize [sic] South Africa" names two elected national officer bearers of the National Union of Metalworkers of South Africa (NUMSA), Irvin Jim and Karl Cloete as the kingpins of the plot (see here in PDF). 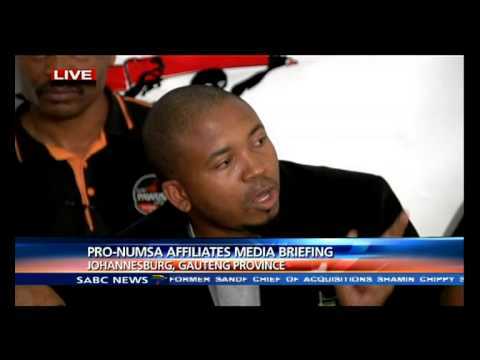 For more on NUMSA, click HERE. More from the Democratic Left Front. November 20, 2014 -- Links International Journal of Socialist Renewal -- In December 1985, millions of oppressed and exploited in South Africa and indeed across the world celebrated the birth of a giant of the working class, the Congress of South African Trade Union (COSATU). Forged in struggles on factory floors, mine shafts, farms and homes of the rich across the country, the independent trade union movement became a powerful expression of the unity of the working class. COSATU embodied the principles of workers’ democracy and unity, fought for improvements in the lives of ordinary workers and played a leading role in the struggle against apartheid and for socialism. On the eve of its 30th anniversary, COSATU’s rich legacy of independent workers’ struggles is being torn asunder. 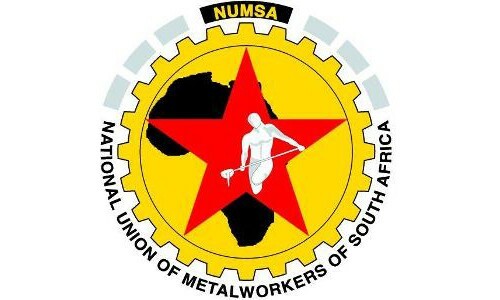 The expulsion of National Union of Metalworkers of South Africa (NUMSA) by the leadership clique of COSATU threatens the very existence of the federation. November 13, 2104 -- Links International Journal of Socialist Renewal -- Congress of South African Trade Unions (COSATU) general secretary Zwelinzima Vavi (pictured above) was absent from the COSATU media briefing on November 11, in the aftermath of the November 8 expulsion of the National Union of Metalworkers of South Africa (NUMSA). In the letter below, he explains why.